Uniform, long-legged, appropriately noble and predominantly large-framed foals of very good to outstanding type. Very expressive head. Well-set and well-shaped neck of appropriate length. Long and sloping shoulder. Well-defined withers. Good but relatively short topline. Long, well-shaped croup. The limbs have good bone structure and build. Very good, spacious, rhythmic and supple walk. Rhythmic trot with good action and push from behind. Well-balanced, spacious canter. 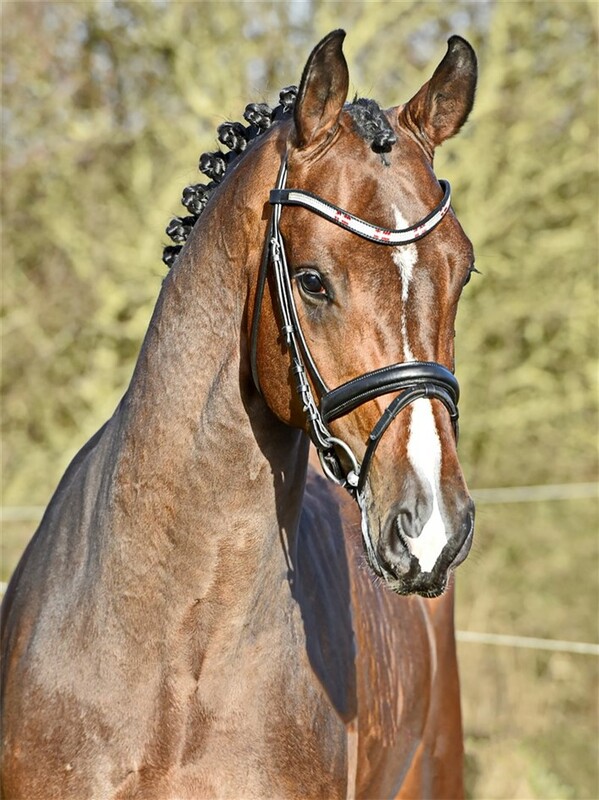 The stallion matches a wide range of dressage mares with open body frames. He brings harmony, lightness, expression and a very good walk to his foals. A total of 75 foal have been inspected in 2016 and 2017. We are naturally proud of the great description and feel well equipped for the upcoming season.